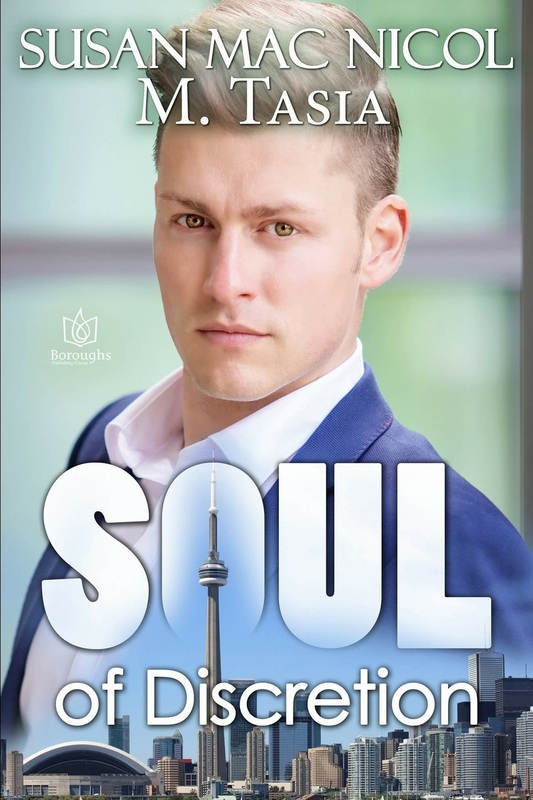 Thank you for joining us on the Release Celebrations for Soul of Discretion, a LGBT Male-Male Romance by Susan Mac Nicol and M. Tasia (1 May 2018, Boroughs Publishing Group, 220 pages). The authors will be awarding eBook copies of Survival Game by Susan Mac Nicol and Grady by M. Tasia to a randomly drawn commenter via Rafflecopter during the tour. Please do take part: comment on our post and follow the tour where you will be able to read other excerpts (☀), and reviews (✍). 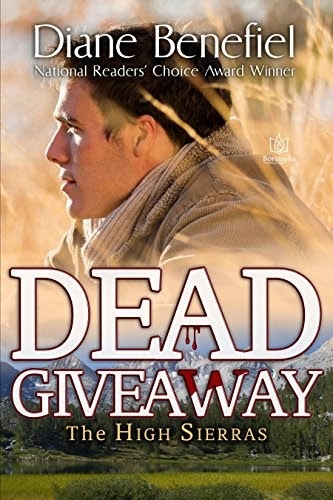 Thank you for joining us on the Virtual Book Tour for Dead Giveaway, a Romantic Suspense by Diane Benefiel (26 March 2018, Boroughs Publishing Group, 190 pages). This is the second book in the High Sierras series. Author Diane Benefiel will be awarding a $15 in Boroughs Bucks + a copy of Flash Point to a randomly drawn winner via Rafflecopter during the tour. Please do take part: comment on our post and follow the tour where you will be able to read other excerpts (☀), reviews (✍). 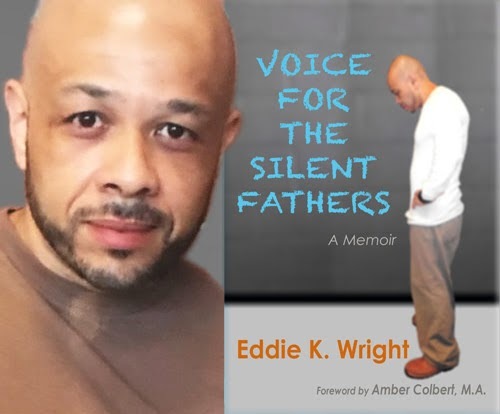 Today we have the pleasure of meeting up with author Eddie K. Wright to talk about Voice For The Silent Fathers: A Memoir (1 June 2016, M Wright Group, LLC, 294 pages), a Memoir. "Heart-wrenching at times, this is a brutally honest book. As a parent of two LGBT girls, I found it full of empathy, honesty and inspiration." "I loved Eddie K. Wright's sincere real life story of how he struggles with having a gay son. Eddie is very honest and holds nothing back on how he feels about Drew's homosexuality. Yet when reading the story you never doubt Wright's love for his son. This was an incredible read!" 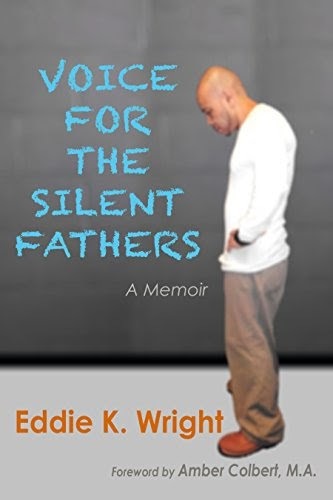 Thank you for joining us on the Virtual Book Tour for Voice For The Silent Fathers: A Memoir, a Memoir by Eddie K. Wright (1 June 2016, M Wright Group, LLC, 294 pages). Don't miss our interview with author Eddie K. Wright. Author Eddie K. Wright will be awarding a $20 Amazon/BN gift card to a randomly drawn winner via Rafflecopter during the tour. Please do take part: comment on our post and follow the tour where you will be able to read other excerpts (☀), interviews (ℚ), and guest blog posts (✉). 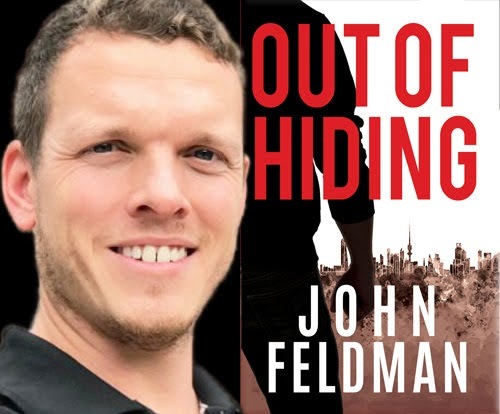 Today we have the pleasure of meeting up with author John Feldman to talk about Out of Hiding (22 March 2018, John Feldman, 266 pages), a Thriller. A very warm welcome to John Feldman; thank you for joining us on BooksChatter! Here at BooksChatter we love music; do you have a music playlist that you used in Out of Hiding , or which inspired you whilst you were writing it? "While no music really went into the book, it sure helped while writing it. Thank you for joining us on the Virtual Book Tour for Restoring His Howl, a Contemporary Paranormal LGBT Shifter Romance by Megan Slayer (16 January 2018, Resplendence Publishing, LLC, 120 pages). This is the tenth book in the Sanctuary series. Author Megan Slayer will be awarding a handcrafted bracelet and signed swag to a randomly drawn winner via Rafflecopter during the tour. Please do take part: comment on our post and follow the tour where you will be able to read other excerpts (☀). 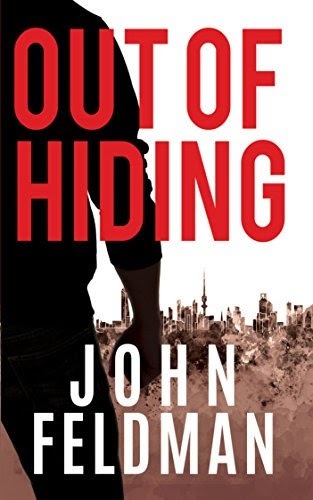 Thank you for joining us on the Virtual Book Tour for Out of Hiding, a Thriller by John Feldman (22 March 2018, John Feldman, 266 pages). Don't miss our interview with author John Feldman. Author John Feldman will be awarding a $50 Amazon/BN gift card to a randomly drawn winner via Rafflecopter during the tour. Please do take part: comment on our post and follow the tour where you will be able to read other excerpts (☀), interviews (ℚ), and guest blog posts (✉). Charles Dampor was supposed to be a blessing, but instead turned out to be a curse. 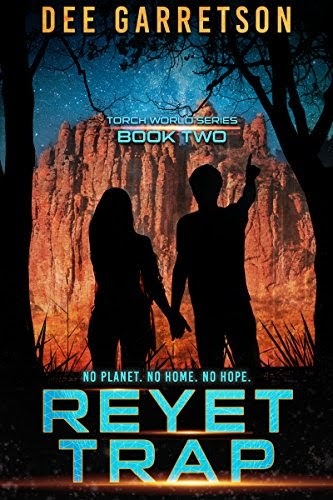 Today we have the pleasure of meeting up with author Dee Garretson to talk about Reyet Trap (3 April 2018, Month9Books, LLC, 286 pages), a Young Adult Sci-Fi, book two in the Torch World series. A very warm welcome to Dee Garretson; thank you for joining us on BooksChatter! Here at BooksChatter we love music; do you have a music playlist that you used in Reyet Trap , or which inspired you whilst you were writing it? 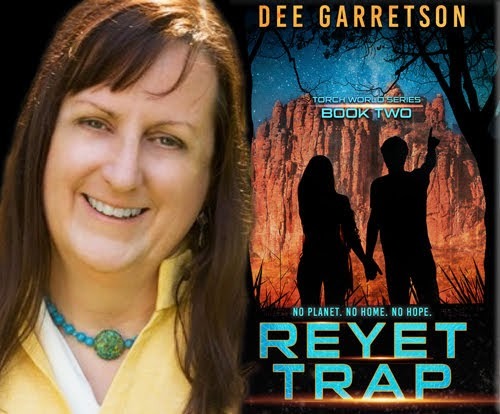 Thank you for joining us on the Virtual Book Tour for Reyet Trap, a Young Adult Sci-Fi by Dee Garretson (3 April 2018, Month9Books, LLC, 286 pages). This is the second book in the Torch World series. Don't miss our interview with author Dee Garretson coming later this afternoon. Author Dee Garretson will be awarding a $25 Amazon Gift Card and a digital copy of Reyet Trap to a randomly drawn winner via Rafflecopter during the tour. Please do take part: comment on our post and follow the tour where you will be able to read other excerpts (☀), interviews (ℚ), reviews (✍) and guest blog posts (✉). 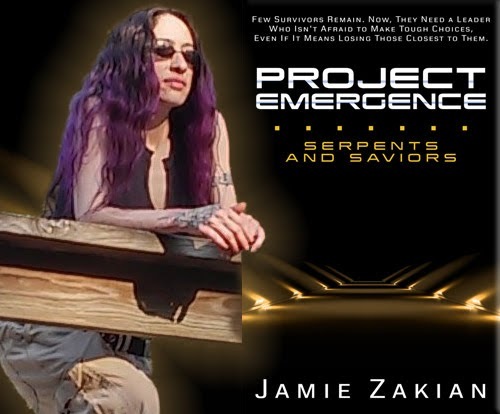 Today we have the pleasure of meeting up with author Jamie Zakian to talk about Serpents and Saviors (10 April 2018, Month9Books, LLC, 238 pages), a Sci-fi Thriller, book two in the Project Emergence series. Few survivors remain. Now, they need a leader who isn't afraid to make tough choices, even if it means losing those closest to them. Thank you for joining us on the Release Celebrations for Come Back to Me, a Romance by Trilina Pucci (27 April 2018, Trilina Pucci Books LLC, 293 pages). This is the first book in the Forever series. Author Trilina Pucci will be awarding a package containing a signed copy of the book, mug, water bottle, and other essentials for the avid reader to a randomly drawn winner via Rafflecopter during the tour. Please do take part: comment on our post and follow the tour where you will be able to read other excerpts (☀). Thank you for joining us on the Virtual Book Tour for Serpents and Saviors, a Young Adult Sci-fi Thriller by Jamie Zakian (10 April 2018, Month9Books, LLC, 238 pages). 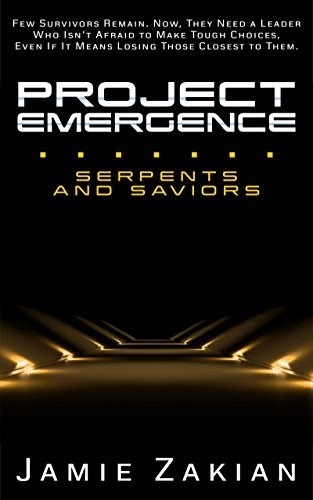 This is the second book in the Project Emergence series. Don't miss our interview with author Jamie Zakian. Author Jamie Zakian will be awarding a $25 Amazon Gift Card and a digital copy of Serpents and Saviors to a randomly drawn winner via Rafflecopter during the tour. Please do take part: comment on our post and follow the tour where you will be able to read other excerpts (☀), interviews (ℚ), reviews (✍) and guest blog posts (✉). Thank you for joining us on the Virtual Book Tour for Daemon Reckoning, a Paranormal Romance by Mariah Ankenman (9 April 2018, The Wild Rose Press, Inc., 143 pages). 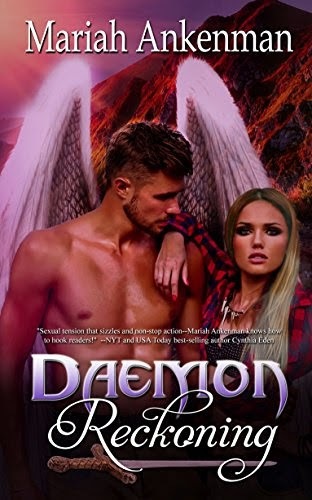 This is the third book in the Daemon series. Author Mariah Ankenman will be awarding a $10 Amazon/BN gift card to a randomly drawn winner via Rafflecopter during the tour. Please do take part: comment on our post and follow the tour where you will be able to read other excerpts (☀). 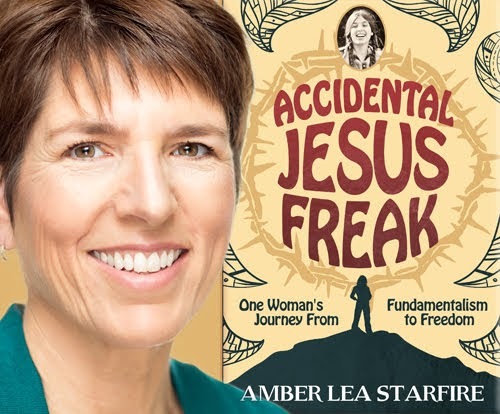 Today we have the pleasure of meeting up with author Amber Lea Starfire to talk about Accidental Jesus Freak: One Woman's Journey from Fundamentalism to Freedom (2 February 2018, MoonSkye Publishing, 362 pages), a Memoir. "Amber Lee Starfire had a psychedelic-fueled conversion to religion that took her on the road and on the run through 1970s America and 1980s Europe. Living amid a spiritual, fundamentalist Christian community, she reports from the front of being deeply embedded in a communal sensibility and on what happens when she decides to create her own destiny and find a life of her own." — Marion Roach Smith, author of The Memoir Project, A Thoroughly Non-Standardized Text for Writing & Life. Thank you for joining us on the Virtual Book Tour for His Valentine, a Contemporary Male/Male Romance by Megan Slayer (13 February 2018, MLR Press, 50 pages). 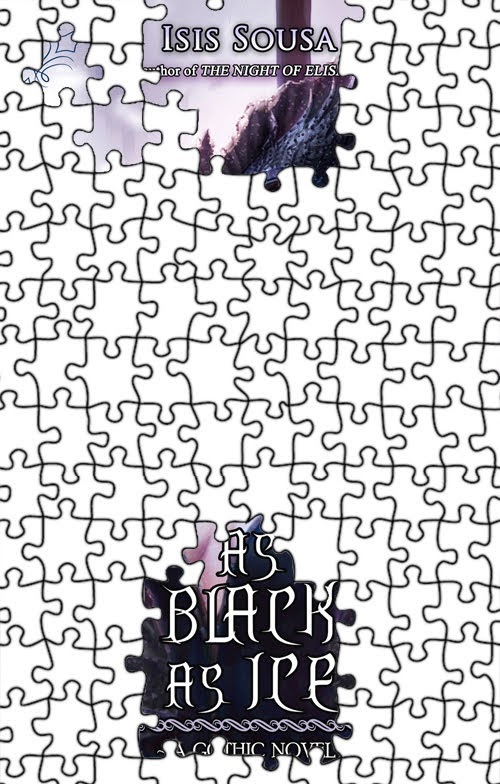 This is the second novella in the Picture This series. Author Megan Slayer will be awarding a bracelet crafter by her and a signed swag pack to a randomly drawn winner via Rafflecopter during the tour. Please do take part: comment on our post and follow the tour where you will be able to read other excerpts (☀). Aydin loves Brandon. He sees the changes in his boyfriend and wants to help, but how do you help when you don't know the problem exactly? 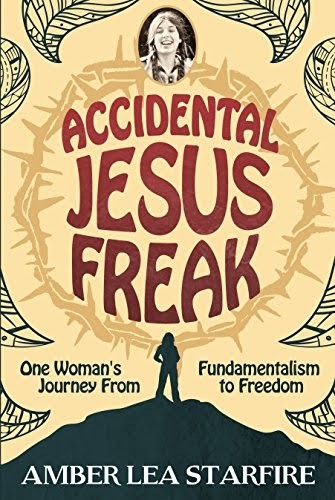 Thank you for joining us on the Virtual Book Tour for Accidental Jesus Freak: One Woman's Journey from Fundamentalism to Freedom, a Memoir by Amber Lea Starfire (2 February 2018, MoonSkye Publishing, 362 pages). Don't miss our interview with author Amber Lea Starfire. Author Amber Lea Starfire will be awarding a $50 Amazon/BN gift card to a randomly drawn winner via Rafflecopter during the tour. Please do take part: comment on our post and follow the tour where you will be able to read other excerpts (☀), interviews (ℚ), reviews (✍) and guest blog posts (✉). Thank you for joining us on the Virtual Book Tour for Entrance, a Contemporary Steamy Romance by J.J. Sorel (18 October 2017, Independently published, 269 pages). This is the first book in the Thornhill Trilogy series. PREVIEW: Check out the book's synopsis and the Kindle Cloud Reader Preview below. Entrance is FREE on Kindle Unlimited and Kindle Owner's Lending Library. "A real page turner it had me hooked from the start with an intelligent plot and racy prose." ML H.
Author J.J. Sorel will be awarding copies of the entire Thornhill Trilogy series to a randomly drawn winner via Rafflecopter during the tour. Today we have the pleasure of meeting up with author Jean Rabe to talk about The Bone Shroud (11 March 2018, Boone Street Press, 208 pages), a Mystery.
" Another winner! 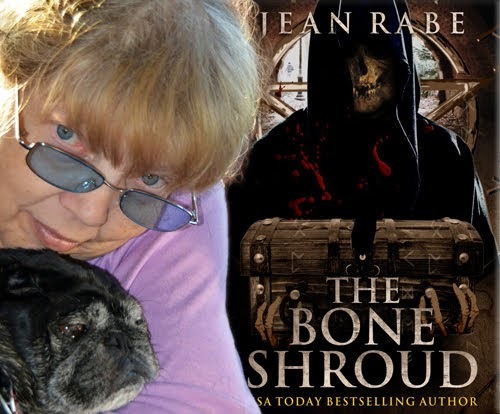 The Bone Shroud by Jean Rabe is just the latest reason to love this prolific multi-genre author. The action starts on page one and never stops. Rabe keeps readers on the edge of their seats with as many twists and turns in this thriller as in the catacombs and archaeological digs in which much of the action takes place. The real bonus – at least for me – is Rabe’s characters – so realistic, so interesting, so flawed, so sinister, so beguiling. Fans of Jean’s earlier books, as well as fans of fast-paced mysteries and action-packed thrillers, will not want to miss this one!" ~ Amazon Verified Purchase review. 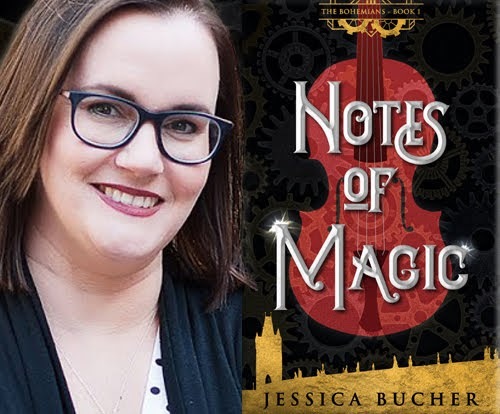 Today we have the pleasure of meeting up with author Jessica Bucher to talk about Notes of Magic (8 February 2018, Jessica Bucher, 266 pages), a Young Adult Steampunk Fantasy, book one in the The Bohemians series. "What an beautiful read. I felt like I could really be transplanted to Prague in another world in this book. I picked it up and stopped ready when it ended. 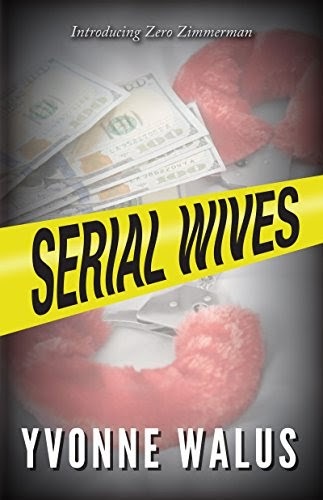 Thank you for joining us on the Virtual Book Tour for Serial Wives, a Crime Fiction novel by Yvonne Walus (20 March 2018, Stairway Press, 204 pages). Author Yvonne Walus will be awarding a $20 Amazon/BN gift card to a randomly drawn winner via Rafflecopter during the tour. Please do take part: comment on our post and follow the tour where you will be able to read other excerpts (☀), and reviews (✍). 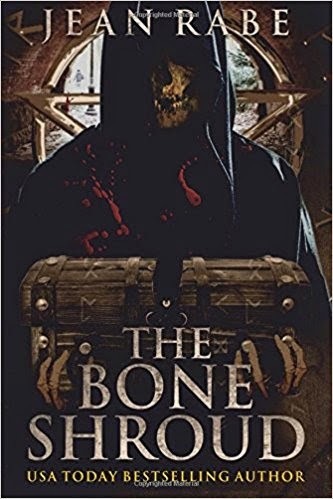 Thank you for joining us on the Virtual Book Tour for The Bone Shroud, a Mystery by Jean Rabe (11 March 2018, Boone Street Press, 208 pages). Don't miss our interview with author Jean Rabe. The Bone Shroud is FREE on Kindle Unlimited and Kindle Owner's Lending Library. Author Jean Rabe will be awarding a $25.00 gift certificate or a fused glass necklace to a randomly drawn winner via Rafflecopter during the tour. 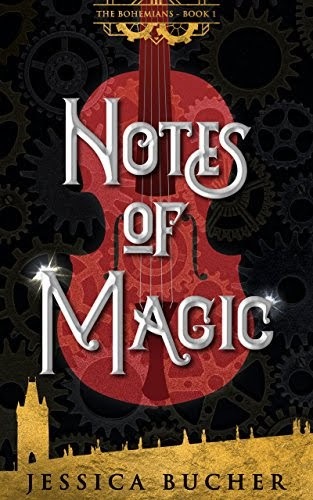 Thank you for joining us on the Virtual Book Tour for Notes of Magic, a Young Adult Steampunk Fantasy by Jessica Bucher (8 February 2018, Jessica Bucher, 266 pages). This is the first book in the The Bohemians series. Don't miss our interview with author Jessica Bucher. PREVIEW: Check out the book's synopsis and the Kindle Cloud Reader Preview below. Notes of Magic is FREE on Kindle Unlimited and Kindle Owner's Lending Library. Author Jessica Bucher will be awarding a copy of Notes of Magic to a randomly drawn winner via Rafflecopter during the tour. Please do take part: comment on our post and follow the tour where you will be able to read other excerpts (☀), interviews (ℚ), reviews (✍) and guest blog posts (✉). 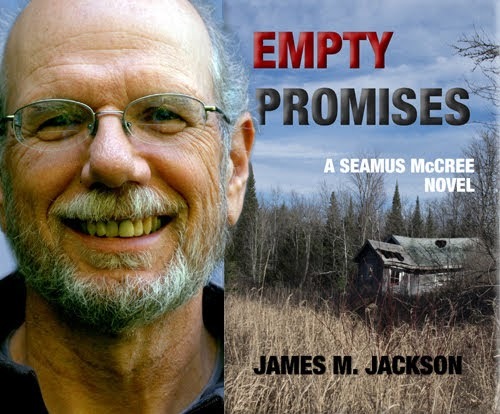 Today we have the pleasure of meeting up with author James M. Jackson to talk about Empty Promises (12 March 2018, Wolf's Echo Press, 254 pages), a Domestic Thriller, book five in the Seamus McCree series. 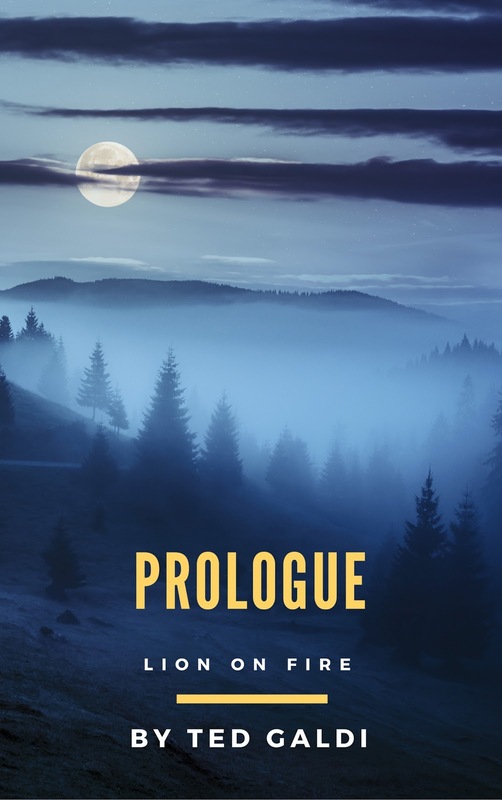 Thank you for joining us on the Virtual Book Tour for Empty Promises, a Domestic Thriller by James M. Jackson (12 March 2018, Wolf's Echo Press, 254 pages). 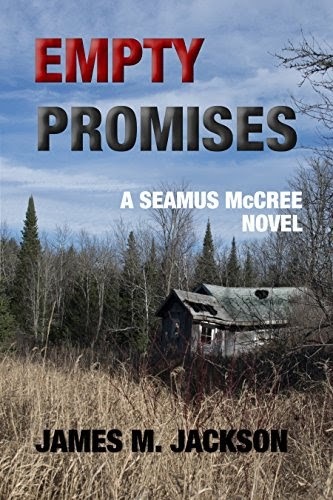 This is the fifth book in the Seamus McCree series. Don't miss our interview with author James M. Jackson. PREVIEW: Check out the book's synopsis and the Kindle Cloud Reader Preview below. Empty Promises is FREE on Kindle Unlimited and Kindle Owner's Lending Library. Author James M. Jackson will be awarding a the chance to name a character who will appear in FALSE BOTTOM (Seamus McCree #6) to a randomly drawn winner via Rafflecopter during the tour. Please do take part: comment on our post and follow the tour where you will be able to read other excerpts (☀), interviews (ℚ), reviews (✍) and guest blog posts (✉). Today author Charlotte Hubbard takes over our blog to tell us about how she keeps track of her characters. 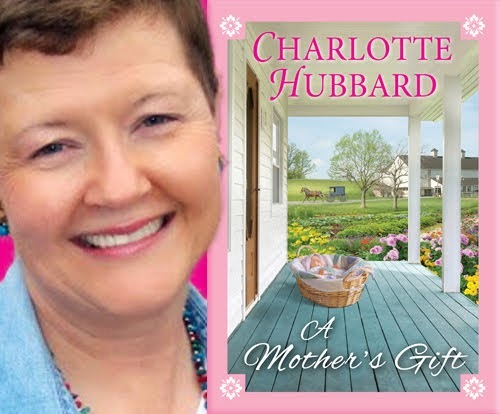 Charlotte's latest novel is A Mother's Gift (27 March 2018, Kensington, 289 pages), a Inspirational Amish Romance. Thank you for joining us on the Release Celebrations for Finding Michael, a Contemporary LGBT Romance by Megan Slayer (20 February 2018, Pride Publishing, 251 pages). Author Megan Slayer will be awarding a bracelet she has crafted and signed swag to a randomly drawn winner via Rafflecopter during the tour. Please do take part: comment on our post and follow the tour where you will be able to read other excerpts (☀). Tristan Paulson needs the words to return. He loves his career penning novels of small-town love, but his muse has gone missing. Since he can’t write, he goes back to his roots to sort through the items his recently deceased uncle left behind. Once in Sullavan, Ohio, he realizes just how much he loved the place. 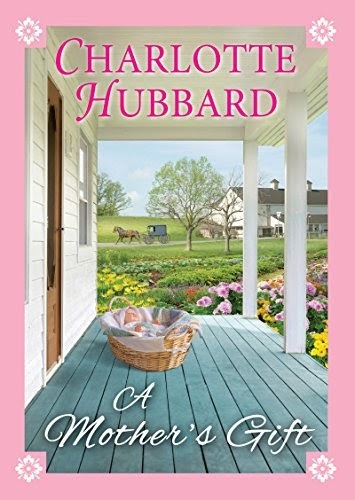 Thank you for joining us on the Virtual Book Tour for A Mother's Gift, an Inspirational Amish Romance by Charlotte Hubbard (27 March 2018, Kensington, 289 pages). Don't miss our guest post by author Charlotte Hubbard, "How I Keep Track of Characters". Author Charlotte Hubbard will be awarding a $50 Amazon/BN gift card to a randomly drawn winner via Rafflecopter during the tour. Please do take part: comment on our post and follow the tour where you will be able to read other excerpts (☀), interviews (ℚ), reviews (✍) and guest blog posts (✉). 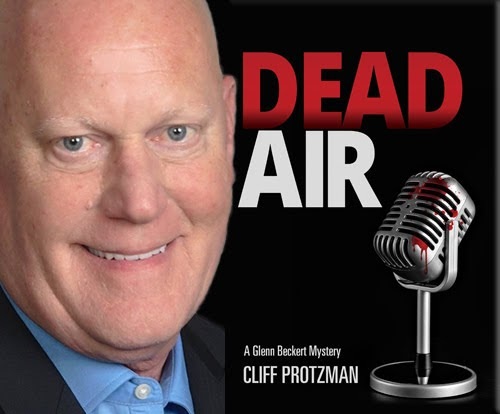 Today we have the pleasure of meeting up with author Cliff Protzman to talk about Dead Air (26 September 2017, Mill City Press, 318 pages), a Mystery, book one in the Glenn Beckert Mysteries series. 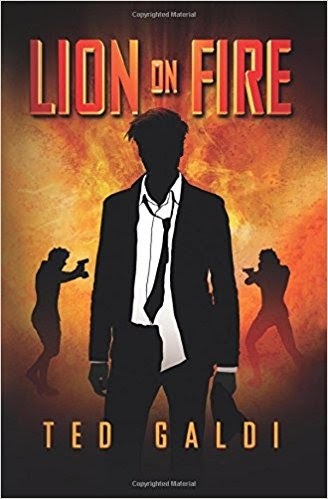 Thank you for joining us on the Virtual Book Tour for Lion on Fire, a casino-heist thriller by Ted Galdi (23 February 2018, Ted Galdi, 165 pages). For a limited time, get another gift from Ted Galdi. The prologue bonus chapter to Lion on Fire. Author Ted Galdi will be awarding five best-sellers by Harlan Coben to a randomly drawn winner, and all contestants will instantly receive a free copy of Ted's latest chart-topping heist thriller, Lion on Fire. 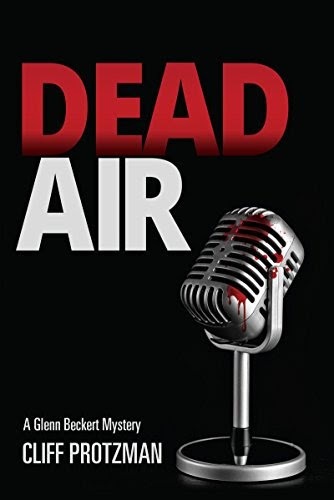 Thank you for joining us on the Virtual Book Tour for Dead Air, a Mystery by Cliff Protzman (26 September 2017, Mill City Press, 318 pages). This is the first book in the Glenn Beckert Mysteries series. Don't miss our interview with author Cliff Protzman. Author Cliff Protzman will be awarding a $20 Amazon gift card to a randomly drawn winner via Rafflecopter during the tour. Please do take part: comment on our post and follow the tour where you will be able to read other excerpts (☀), interviews (ℚ), reviews (✍) and guest blog posts (✉). Today we have the pleasure of meeting up with author Josanna Thompson to talk about A Maiden's Honor (13 October 2017, Inkwell Books, LLC, 614 pages), a Historical Romantic Fiction, book one in the The Woman from Eden series. "This is an epic love story set on the Barbary Coast in the time of Pirates better known as Cosairs. If you love to be transported to another time and place, with all the needed detail supplied for you to feel like you are there - do not miss out on this. The way that everything is set about and linked together makes this book a joy to read." ~ Amazon Reviewer. 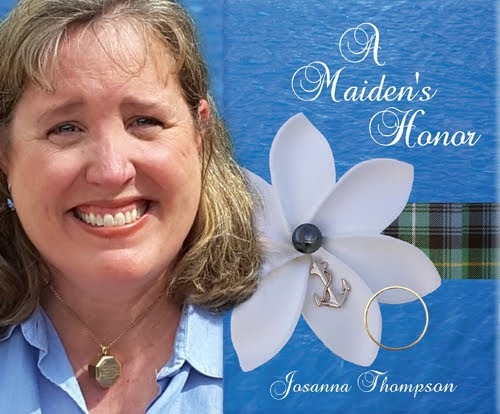 Thank you for joining us on the Virtual Book Tour for A Maiden's Honor, a Historical Romantic Fiction by Josanna Thompson (13 October 2017, Inkwell Books, LLC, 614 pages). This is the first book in the The Woman from Eden series. Don't miss our interview with author Josanna Thompson. 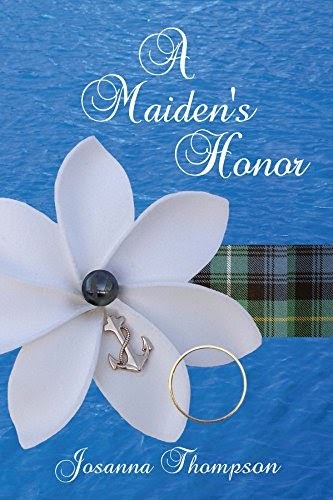 A Maiden's Honor is FREE on Kindle Unlimited and Kindle Owner's Lending Library. Author Josanna Thompson will be awarding a $25 Amazon/BN gift card to a randomly drawn winner via Rafflecopter during the tour. Please do take part: comment on our post and follow the tour where you will be able to read other excerpts (☀), interviews (ℚ), reviews (✍) and guest blog posts (✉). 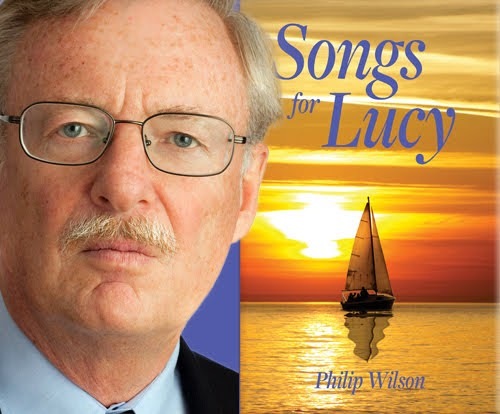 Today we have the pleasure of meeting up with author Philip Wilson to talk about Songs for Lucy (23 March 2018, Philip Wilson, 402 pages), a Women's Fiction Novel. 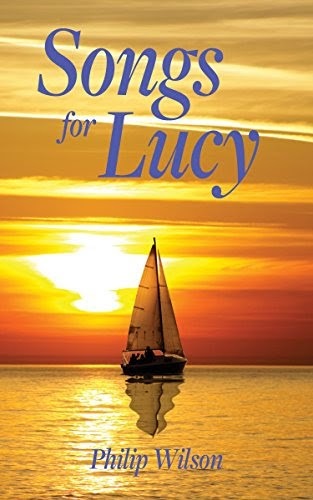 Thank you for joining us on the Virtual Book Tour for Songs for Lucy, a Women's Fiction Novel by Philip Wilson (23 March 2018, Philip Wilson, 402 pages). Don't miss our interview with author Philip Wilson. Author Philip Wilson will be awarding a signed paperback copy of the book to a randomly drawn winner via Rafflecopter during the tour.